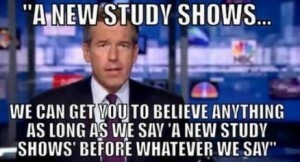 I saw this interesting blurb on social media recently which reads: “A new study shows we can get you to believe anything as long as we say “A New Study Shows” before whatever we say. That would be comical if it weren’t so terribly true. I’ve overheard or taken part in many conversations in which friends are reporting of the latest nutrition ‘fact’ they’ve heard or read about. Often times the latest report contradicts what was just reported a few months ago. One day saturated fat is evil, and the next day it’s being promoted as inconsequential. Coffee is bad one day and good the next. Protein intake should be high vs protein intake should be kept low. Grains are responsible for every health ailment vs grains are good for us. What’s a person to believe? 1. Start with the assumption that what you’re hearing or reading may not be correct until proven otherwise. This is especially true if you’re dealing with stories, observations, and advertisements. Case in point: During one of my classes, a participant brought in a “scientific article” to show the benefits of consuming oil. The bottom of the article clearly revealed that the content was sponsored by Wesson; what she had brought in was a full-page advertisement which was wrought with misinformation. Assume it’s incorrect until proven otherwise. 2. Who is making the claim or funding the study? Drug companies, the dairy industry, food and supplement manufacturers, and agricultural groups all sponsor research – with which can come a big conflict of interest. 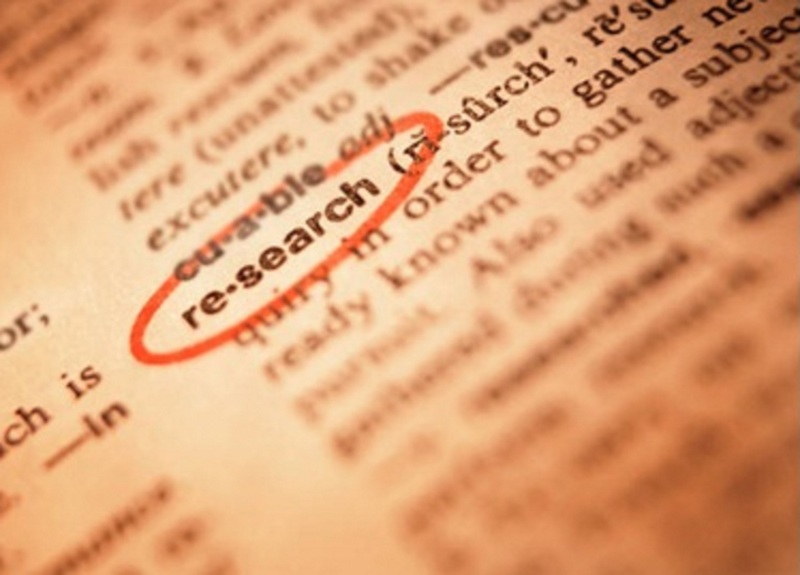 First rule of thumb with research: Look for independently funded studies – independent of industry or groups who stand to profit. Follow the money. 3. Wikipedia, health blogs, diet book author’s websites, national disease groups and even the government are not the best sources of diet and health information. Because health is a scientific endeavor, even the opinions and observations of well-meaning health care professionals should not be fully relied upon to reach accurate conclusions about diet and health. The best sources are the medical and scientific journals and independent researchers who document their findings with valid science. 4. Don’t be convinced by just one study. A study can be found to support any possible position. It’s important to look at the greater weight of evidence supported by many credible sources. For example, there may be 48 studies showing that butter is a health food, but 420 studies showing that it’s detrimental to health. There are independent groups that make it a priority to dig into these studies and report the actual unbiased findings. 5. Is the study well designed? How many people were involved and what was the length of the study? Was it a long-term study involving a great number of people? Has the study been replicated in multiple experiments conducted by different independent researchers? 6. Read the original study. Someone else’s report of the original study may include their own personal opinions or possible slants toward their own agenda, or may purposely or non-purposely omit pertinent information. 7. If you don’t have time to read the full study, you can always read the abstract of the study online. You can also find the efficacy rates (effectiveness) and side effects of drugs on the drug companies websites; use caution, they often report their findings in relative values rather than absolute values, which can make the effectiveness of a drug look far better than it really is. Fosamax, for example, only reduces the risk of bone fracture in absolute value by 1.7% – not the 44% risk reduction that is reported in relative value.